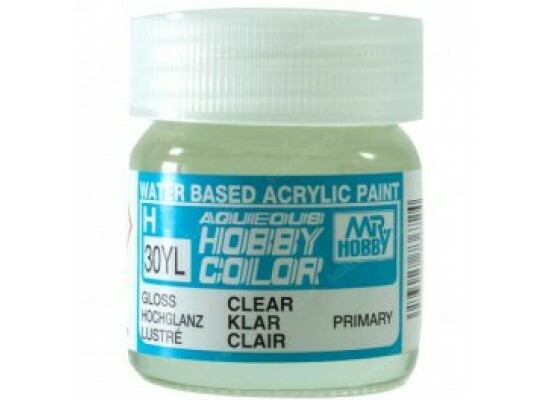 • Mr. Hobby Color paints are water- soluble, non-toxic and safe for use water- based acrylic paints. They are fast- drying, smooth even covering and have color depth, wich makes them ideal for airbrushing. The color palette is consistent with the requirements of hobby modeling and offers a wide range of colors matching the color standards of the real models. The paint jars fit directly on the Pro series airbrushes and spray cans for easier painting and cleaning. The paint does not dissolve once dry and the color is excellent.